As one of the first women to win a seat in the House of Parliament, Hilda Aitken [1891 - 1987] set a course to create a place for women in politics. She won a seat in Smith’s during the 1948 election, along with her contemporary, Edna Watson, who won in Paget. The mother of two had been heavily involved in the Women’s Suffrage Society, which had encouraged her to run – four years after they had won the fight to give female property owners the right to vote. 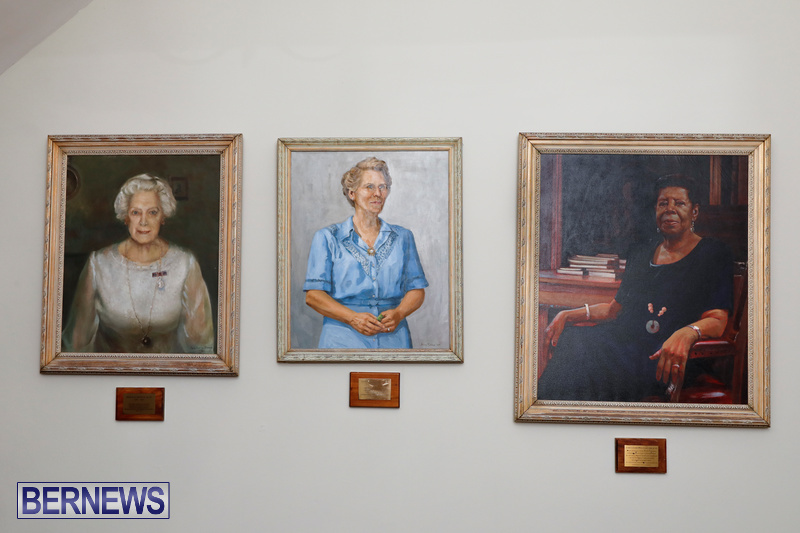 Hilda Aitken’s portrait now hangs in the House of Assembly, alongside other pioneering Bermudian women, including Edna Watson and Dame Lois Browne-Evans. Seventy years after that historic win by Hilda Aitken, women have made great strides throughout many industries, but most notably are the women who took on the challenge of creating more female representation in politics. Those female champions include Dame Lois Browne-Evans, who was the first black woman in Parliament in 1963 and the first woman opposition leader in the British Commonwealth in 1968. Dame Pamela Gordon, who was the first woman appointed Premier by her United Bermuda Party colleagues and Dame Jennifer Smith, who was the first female political party leader to lead her Progressive Labour Party to a general election victory and become Premier. “Women are very interested in politics, and actually a large percentage of women work behind the scenes in politics,” Tinee Furbert, Junior Minister for Disability Affairs told Bernews. “Women are very supportive in politics. Ms Furbert, who is also part of the Women’s Caucus established by the Progressive Labour Party, said there are currently eight elected women in the House of Assembly out of 36 seats, and four women appointed to serve in the Senate. “There is an increase of women in politics all over the world but not nearly to the representation of men. Currently, Rwanda leads the world with the most women in their legislature. President Paul Kagame of Rwanda assisted with the country’s constitution change, which was passed in 2003 that decreed 30 percent of parliamentary seats be reserved for women…It’s an example of gender inclusiveness.